Hay fever, also known as allergic rhinitis, is a common allergic reaction in the UK. It’s something 10-30% of adults and 40% of children have to contend with, according to statistics from Allergy UK. Hay fever is characterised by symptoms including itchy eyes and throat, sneezing or a blocked nose, watery, red eyes headaches, shortness of breath, tiredness and mucus in the back of the throat, according to the health body. We often talk in general terms about hay fever, but there are actually three different types of the condition. According to Allergy UK, there are three main types of hay fever from three types of pollen: grass, ragweed and tree (sometimes referred to separately as “oak” and “birch” pollens). You may be affected by one or more of these at different points during the year. “While some people with hay fever react to one type of pollen during the ‘season’, and then feel better later in the year, it is also possible to be affected by more than one type of pollen or airborne allergen, leading to many months of rhinitis,” Allergy UK states. Understanding which type of hay fever you have (i.e., which pollen is causing it) can help you prevent and treat your condition. Grass pollen is the most common hay fever causing allergen, and it affects most sufferers between May and June, explains Allergy UK. “This can affect children at school with their examinations, since most exams are taken in the summer months, when grass pollen levels are at their highest,” it adds. Meanwhile, tree pollen induced hay fever is more likely to strike during the February to June period, when this type of pollen – from oak or birch trees – becomes highly allergenic. Weed pollen induced hay fever is more common during the June to September period. Check pollen counts before you leave the house – avoid going out if they are high. Shower and change clothes when you get indoors. Keep windows closed, particularly in early morning and evenings when pollen counts are high. Wipe pets’ coats with a damp microfibre cloth when they come inside. 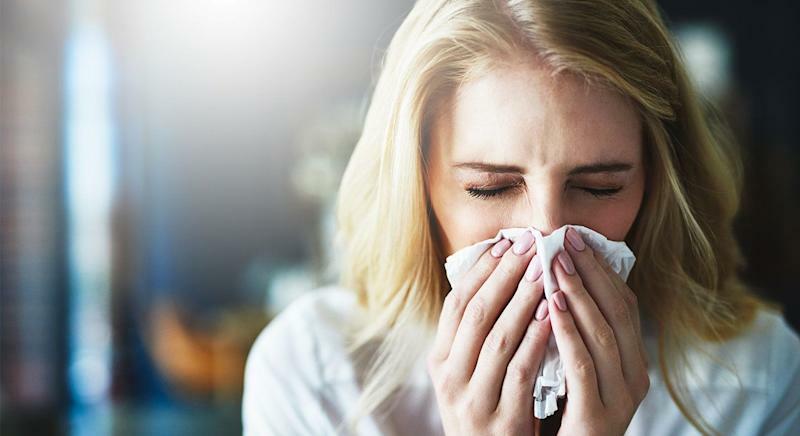 Early prevention is best, according to Allergy UK’s nurse advisor Holly Shaw – so start taking medication preventatively if you think you are susceptible to hay fever. “If people start to become symptomatic they should start taking their medications early so they will be most effective when the pollen levels really peak,” she tells Yahoo UK. The below medicines are usually recommended, but ask your pharmacist to recommend which is best for you. Antihistamines to block the allergic reaction. Medication to reduce inflammation, e.g. nasal steroids (these must be prescribed by a doctor). Corticosteroid tablets to relieve severe symptoms (also prescribed by a doctor).